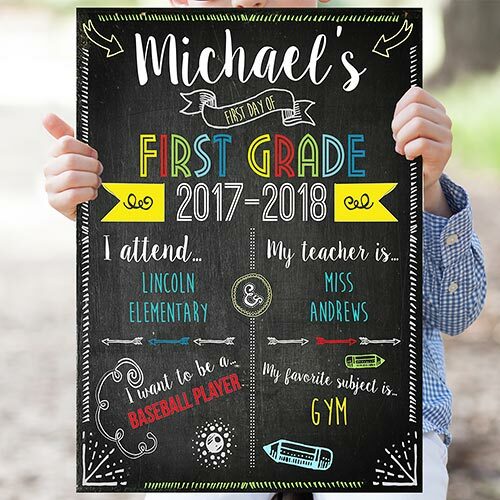 Get your little one excited for their big first day with this Personalized First Day of School Sign. 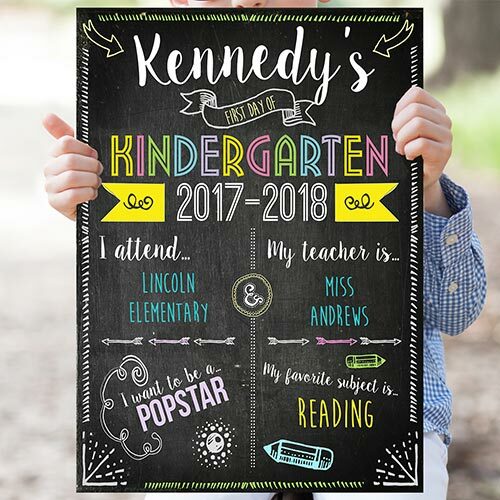 We will custom personalize this sign with your choice of design color, any name, grade, years, 2 school name lines, 2 teacher name lines, career custom message line and favorite subject line. This sign is the perfect way to celebrate their first day of school!